This pattern features 12 pointed stars interlocking with 14 pointed stars, which was a challange to draw! The irregular shapes in black evolved from the mathematical tension between the star motifs. 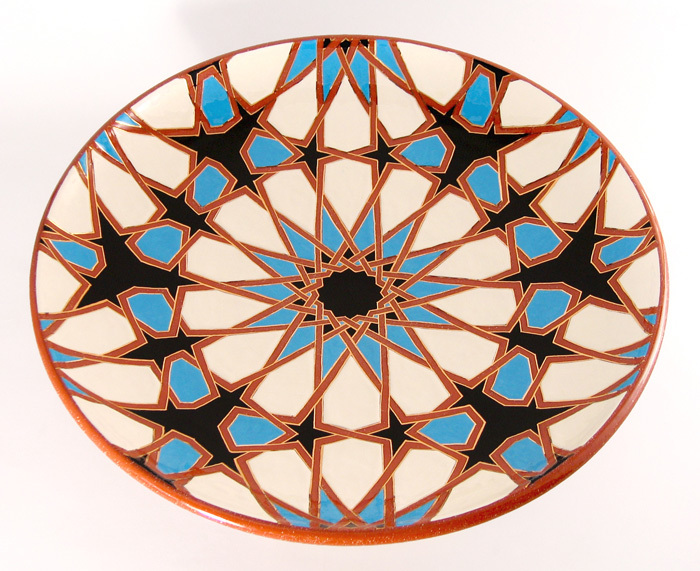 The full design is a repeating tile pattern but for this platter I have centered the image around the 14 sided star. To see it centered on the 12 sided star, click on 'Round Midnight. To see the tile pattern, visit the tile galleries.